Why She's Amazing: Because she channeled her love for throwing dinner parties for friends into a full-time career, serving delicious, inspired New American dishes. 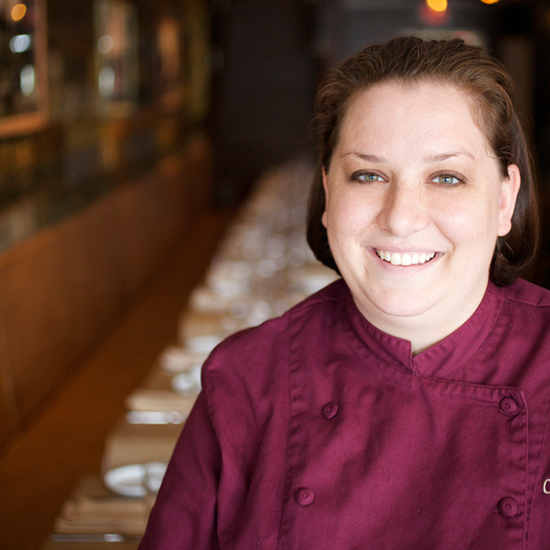 On Being a Female Chef: "I always really struggled to make my way into the kitchen. Growing up in a small town, putting a female in the kitchen wasn't at the top of most chefs' lists, but my mom told me, 'You're my daughter. You're a fighter. You're going to go to culinary school and knock those doors down.'" Double Threat: Vires was nominated for a James Beard Foundation Award—for her writing as a columnist for Feast magazine. Wine List: All glasses on Vires's list are $8; all bottles, $30. She wanted patrons to pick based on preferences, not price.